The Yanghai cemetery (~ 1260–48 BC) belongs to the Subeixi culture (1200 BC–100 AD), which is one of the most important prehistorical archeological cultures in Xinjiang, China. Plant macroremains like seeds/fruits, wood, and stems were discovered in the Yanghai cemetery. Altogether 25 species of plant were found, including three cereals, one type of fruit tree, two medicinal plants, one plant for decoration, and five types of wood for fire drilling, as well as some other plants. The date range of the samples discussed in this paper is around 900–200 BC. It is suggested that the Yanghai people once lived in a relatively humid area like an oasis with local water resources. They lived mainly pastorally and cultivated common millet, naked barley, and wheat as a supplement. However, the evidence of viticulture indicates that they led a sedentary life rather than being mobile pastoralists. It is notable that Cannabis was used not only for medicine but also for shamanistic use. 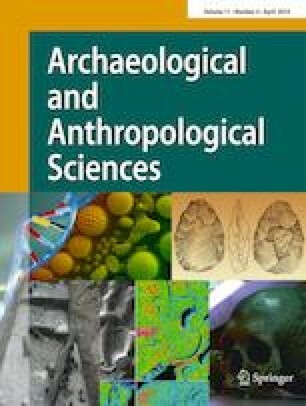 Since there is still a lack of a systemic summary of these archaeobotanical studies at the Yanghai cemetery, an overview is given in the present paper. This study was supported by the Natural Science Foundation of China (41672171).